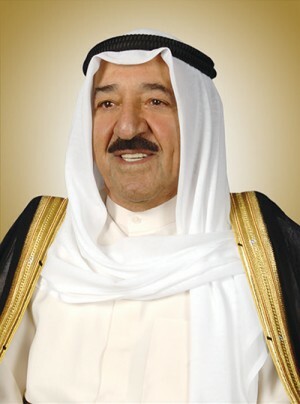 On January 29, 2006, he was unanimously proclaimed as Amir of the State of Kuwait. On July 13, 2003, he became Prime Minister as per Amiri Decree. On October 18, 1992, he became the first Deputy Prime Minister and Minister of Foreign Affairs. On March 3, 1985, he became Deputy Prime Minister and Minister of Foreign Affairs. In the period from March 4, 1981 to February 9, 1982, he became Minister of Information, in addition to his posts as Deputy Prime Minister and Minister of Foreign Affairs. On February 16, 1978, he became Deputy Prime Minister, in addition to his post as Minister of Foreign Affairs. In the period from February 2, 1971 to February 3, 1975, he became Deputy Minister of Information, in addition to his post as Minister of Foreign Affairs. On January 28, 1963, he was assigned the post of Foreign Minister. Since the Independence until April 20, 1991, His Highness assumed this post throughout all the governments. On January 17, 1962, he became Minister of Guidance and Information. In 1955, he became the Head of the Department of Press and Publications. He is a member of the Organizational Body of the Higher Council. He is a member of the Building and Construction Council. He completed his studies with private tutors. He was educated at Kuwait schools. On June 6, 1929, he was born in Kuwait.